Yesterday my birthday present arrived after being held up in customs for a while, it was a surprise and the most amazing surprise indeed. 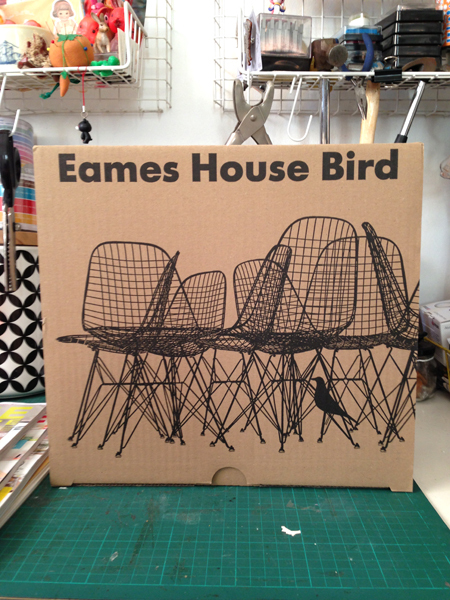 My very own EAMES HOUSE BIRD, the official alder wood version not the cheapie plastic reproduction. I can't explain how much I have yearned for one of these masterpieces of design over the years. 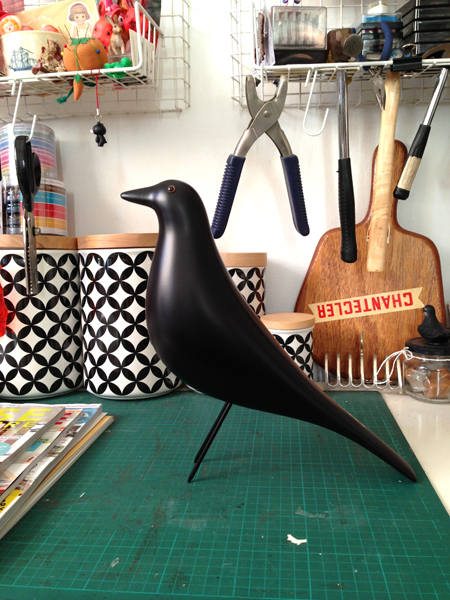 The 'blackbird' in THE PAINTED BLACKBIRD stems from my love of the shape of this piece of American folk art. 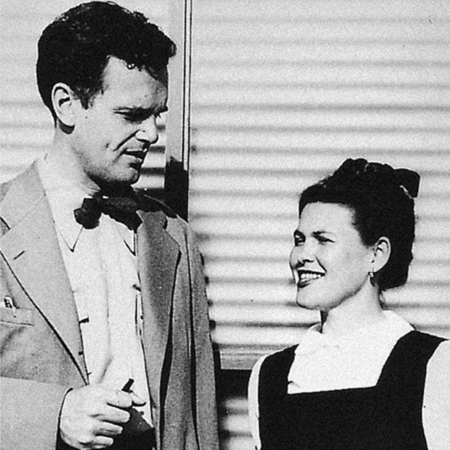 Part of the VITRA DESIGN MUSEUM collection in Germany from the collection of CHARLES & RAY EAMES, my design heroes. 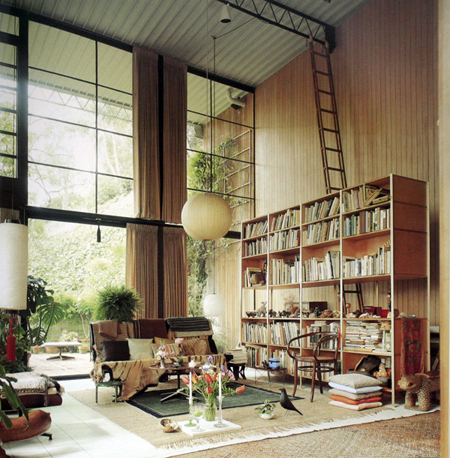 See below the original bird in their magnificent house, CASE STUDY HOUSE NO.8 where it has stood on the living room floor for over 50 years. I am still swooning and am almost too scared to touch it.